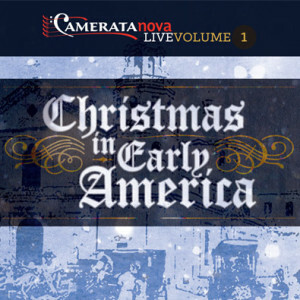 At the suggestion of many of our fans, we have issued Camerata Nova Live: Christmas in Early America, a CD of our highly popular holiday concert of 2012, which was recorded by CBC Radio 2. This album contains early and contemporary American music, ranging from late 18th-century shape-note songs to very recent arrangements of Christmas carols. Camerata Nova’s first DVD, Wa Wa Tey Wak (Northern Lights) (2007), is a beautiful and thought-provoking work composed by Andrew Balfour with stunning imagery by media artist Bryan Besant. Bonus: feature about the group and Wa Wa Tey Wak. Released in 2006, Nova Noël, offers a unique blend of traditional early carols and contemporary arrangements which incorporate non-traditional instruments. Reawaken your enjoyment of seasonal vocal music! In Spring 2002, Camerata Nova launched its first CD! A true Camerata Nova sampler, it contains more than 20 cuts, from Gregorian chants to medieval songs with overtone singing to Renaissance motets (lots of them!). Britten, Bruckner, Balfour, and much more! Released in November 2004, Mystica is a collection of both Renaissance and modern Canadian a cappella choral works, including several original works by artistic director Andrew Balfour. This new 14-track recording higlights the purity and elegance of vocal polyphony.